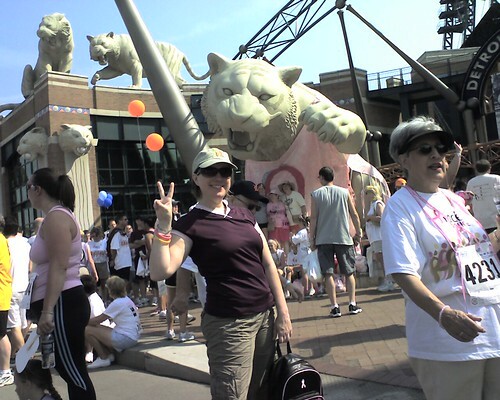 I made it to the Race for the Cure this year! I've been distracted with other things, so I didn't do any fundraising... But at least I walked and donated. It's always a feel-good event, even though it was fairly drizzly this year. Girls with tigers, over the years. Sad I couldn't walk, but happy I volunteered! The drizzle wasn't so bad... better than actual rain, and at least the weather was warm. I didn't mind it. I kept my eyes open for you, but didn't see ya. Glad you made it out and were able to volunteer!